The Sahara is a fascinating and formidable test ground for automotive expeditions, many of which took place between the wars. Later the aim was to test trucks. The general government of Algeria launched a competition for diesel-powered trucks to test their capacity for transporting a payload (3.5 tonnes) between Algiers and Gao, a return trip of 6000 km. Berliet Diesel Truck GDHL, 1932. Renault was interested in the possible commercial benefits, and entered 2 diesel trucks weighing 5 tonnes: one 4-cylinder (TID 4) and one 6-cylinder (TID6), both equipped with internal bunks, water tanks and storage compartments. 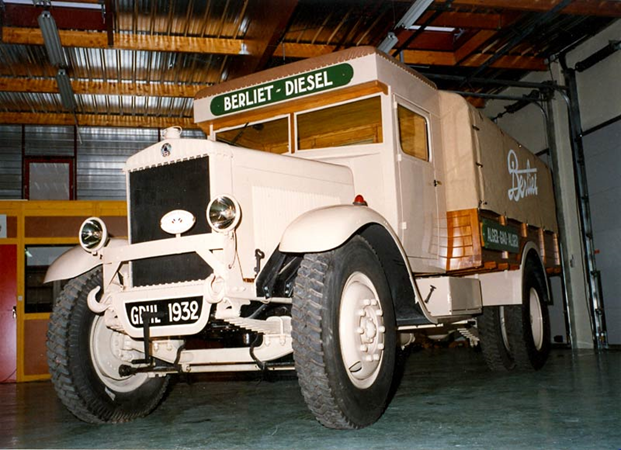 Berliet entered a GDHL and a 6-wheeled, 4-wheel drive vehicle; Saurer entered 2 type 5 ADD trucks, and Laffly also entered 2 trucks. The army took care of supplies and logistics. The vehicles had to survive breakdowns, repeatedly bogging down, and the implacable harshness of the desert. After reaching Gao (Mali), 7 out of the 8 competitors returned to Algiers on 29 March after completing their mission. The Berliet trucks took the prize, but all manufacturers used the expedition as publicity and claimed victory.